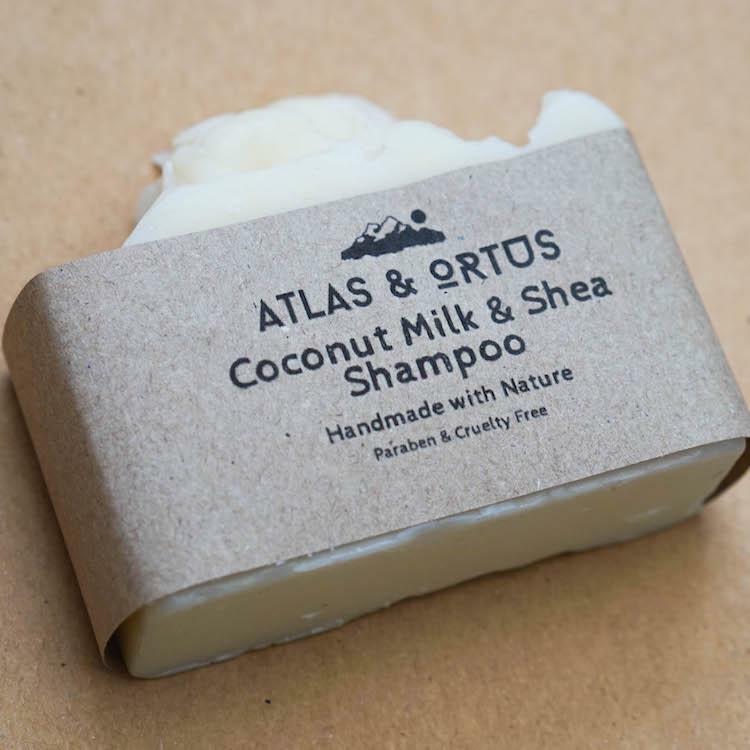 This shampoo bar has been specially formulated with natural ingredients to be used for your hair with moisturising and nourishing coconut milk and shea butter. 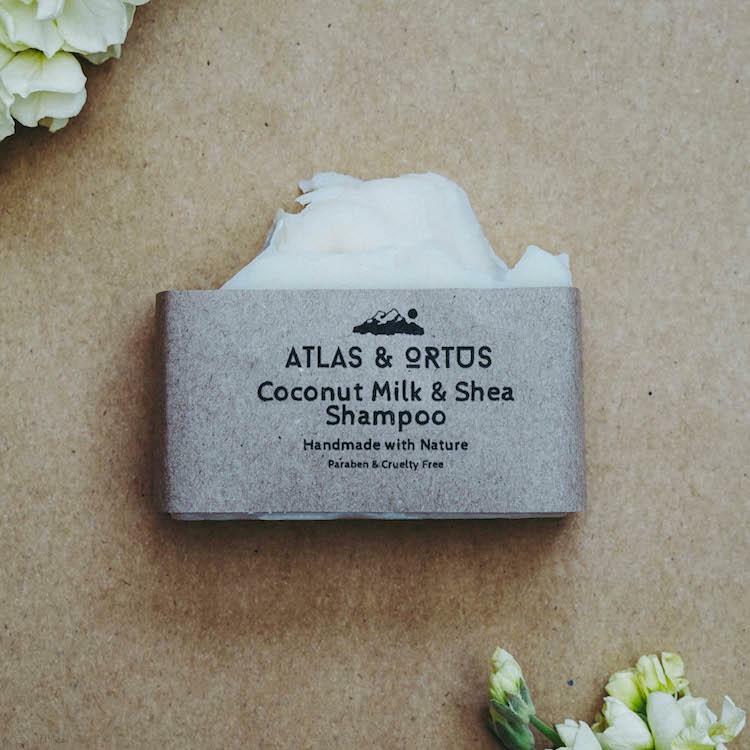 It comes with completely plastic-free packaging, making it a great zero waste alternative to conventional shampoo. How to use - Stroke bar onto wet hair. Lather suds into hair and wash as usual. Repeat as necessary. Allow bar to dry for next use. Ingredients - Rice Germ Oil, Olive Oil, Coconut Oil, Avocado Oil, Shea Butter, Cucurbita Pepo Seed Oil, Ricinus Communis Seed Oil, Coconut Milk. Rosmarinus Officinalis, Citrus limon (L.) Burm.F., Melaleuca quinquenervia. Product packaging - Kraft paper. 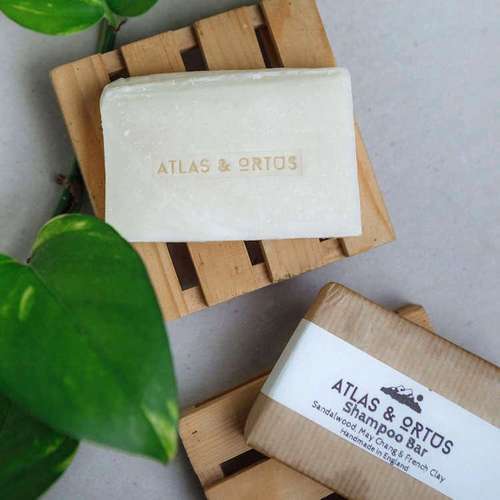 Atlas & Ortus was created in 2018 by sisters, Evie & Francesca, with the mission of making stylish zero waste lifestyle accessories which make it easier to live in a more green way and cut down on the unnecessary plastics in your life. 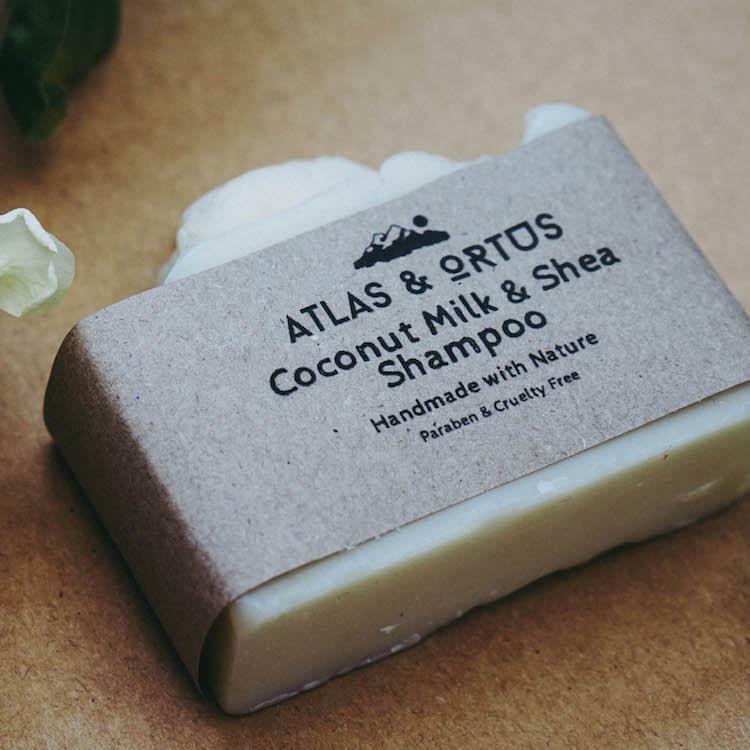 They hope that their products can help build a more sustainable society where eco-friendly and ethically sourced products are the norm. Delivery Packaging - Recycled tissue paper and Cardboard Box.